Upon first listen, one could be forgiven for thinking this was a David Bowie album. After all, Mick Ronson was fresh off his tenure as guitarist for the Spiders From Mars, having worked with Bowie for about four years. Add to that the fact that the lineup of musicians on this album was the exact same used by Bowie on his 1973 covers album, Pin-Ups, and the lines begin to blur even more. This was not the case, though. By 1974, the Spiders were no more, Bowie having dismissed the entire band to begin work on his album Diamond Dogs. 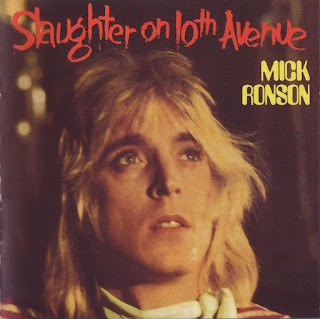 Mick Ronson, however, decided to continue with the band for his debut solo album, while taking on lead vocals himself. The resulting album, Slaughter on 10th Avenue, was a very worthy debut album from one of rock’s finest guitar players and musical arrangers. Let’s get one fact out of the way first; while not contributing directly to the recordings, Bowie was actually involved in a couple songs. “Growing Up and I’m Fine” was written solely by Bowie for this album. The linked tracks of “Pleasure Man/Hey Ma Get Papa” bear the Bowie stamp musically, with the writing of the second half of the two songs being co-credited to him. Finally, the song “Music Is Lethal” was Bowie’s translation of an Italian song, and contain lyrics that were typical of his songs at the time. All this makes it seem as if Ronson was trying to emulate Bowie, rather than establishing himself as a solo artist in his own right. 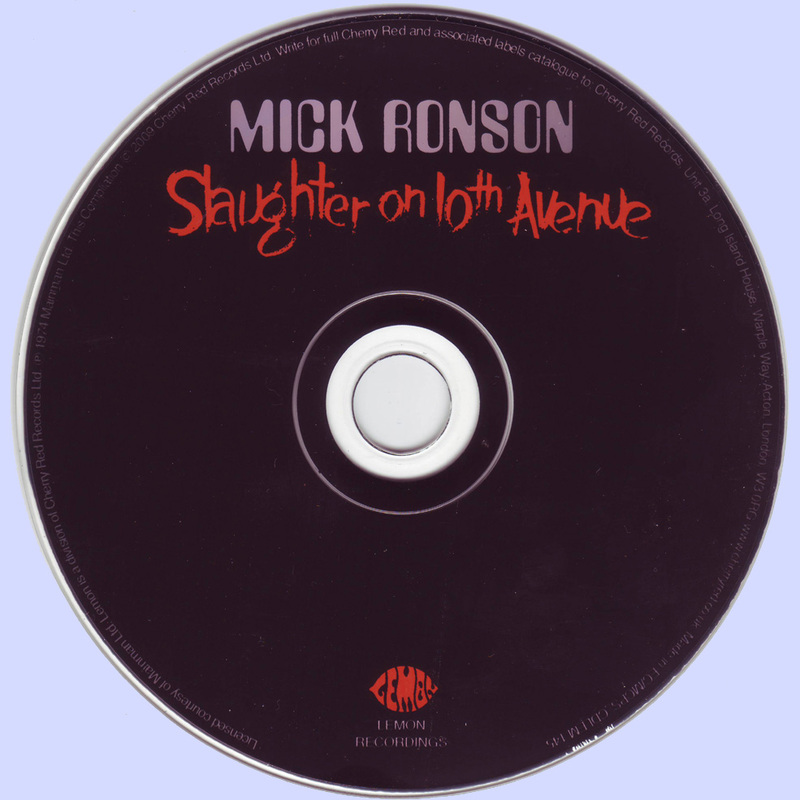 Ronson openly admitted to not being comfortable as a frontman, and in some corners it was said that he was pressured into the situation. However, when it comes down to it, the album itself is genuinely good. There is no denying Ronson’s talent, both as a guitarist and musical arranger, and this album finally lets him shine on his own. His vocals, while not as strong as (though very similar to) Bowie’s, still manage to convey the emotion of each song as necessary, especially during the second half of the song “I’m The One”, itself being a cover of an Annette Peacock song. More than anything, though, the album gives him a chance to really highlight his guitar prowess, especially on the instrumental title track, which itself was an adaptation of the music from the ballet of the same name. Meanwhile, straightforward rocker “Only After Dark” would go on to be covered by The Human League, while “Pleasure Man” is highly reminiscent of Bowie’s song “Aladdin Sane” in tempo and off-kilter piano. Released the same year (and roughly around the same time) as Diamond Dogs, the album was destined to not do as much business except to those who knew Ronson from his days with Bowie. Those who discovered it though, both then and now, were rewarded with an album that was extremely varied and eclectic without being overreaching, an album by an amazing guitarist that was crafted to not just focus on the guitar. As one of the best known guitarists of the 70s up to present day, it would’ve been easy to just make an album of straight up rock filled with riffs. 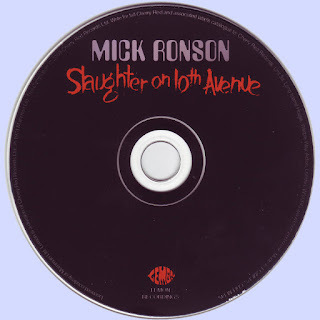 Ronson instead chose to craft a different sort of album that could highlight all his talents, allowing him to step out of the shadows and show what he truly was capable of. If you have not heard this album yet, I highly recommend you seek it out. From straight rock to glam to torch-style songs to a guitar version of a ballet song, there’s something on here for everyone, and 40 years (!) later, it stands up as one of the most unusual, but rewarding, albums ever made…even for non-Bowie fans.